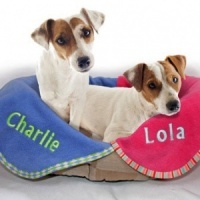 These small personalised soft and absorbent pet paw towels or face flannels are beautifully embroidered with your dog's name. 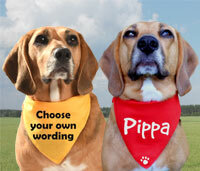 No need to share your best towels and flannels or give your dog the flat old ones no one else wants any more. 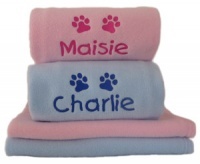 Their very own soft, super absorbent small flannel/towel, especially for them and personalised with their name so no one else uses it. Woof! Perfect for a handy quick dry of wet muddy feet, legs or even little bellies, or a face wash at bath time. 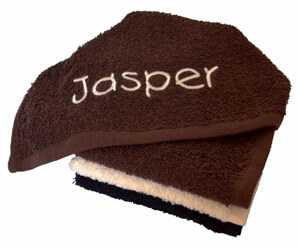 There is a choice of 4 colours (grey, chocolate, black or cream) and a lovely range of colours for the embroidered name. 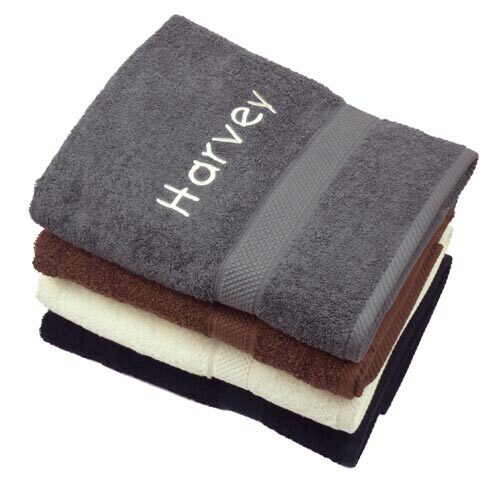 Matching small or large dog bath towels are also available separately. Lovely item. Very quick delivery. 2 Christmas gifts sorted! Super speedy delivery of this cute towel - it’s the size of a flannel so best for the smaller hound. Great little Christmas gift for my dog’s paw pal. This little towel was well received by the teenage owners of a new puppy.The personalization made it special and the amazingly quick delivery time was very impressive.Thank you. I bought personalized blankets for 2 dogs for Christmas and now 2 black towels with the name in red of our spaniel, Chester. He thinks they are great and so do I. Glad I discovered dfordog! This lovely little towel (about as big as a face flannel) just fits nicely in your pockets, so when you visit people, or get in the car etc with dirty paws, you can whip out your little towel and clean your dirty doggy up! A neat liitle idea. Highly recommend . 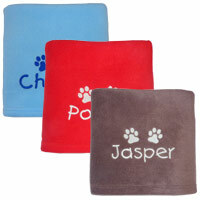 Very handy little towel for either face or paws, lovely embroidered name . Excellent gift. This is a lovely colour with the name in well finished machining. 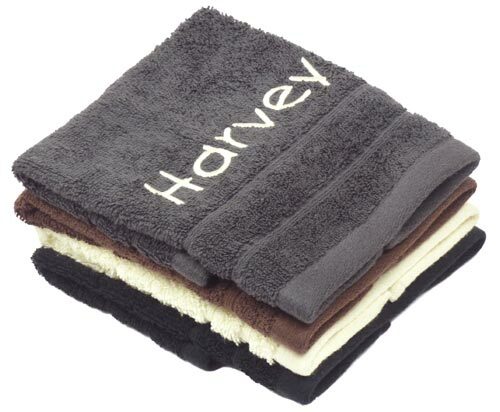 The quality of the towel is good but not of the highest rating. The size is brilliant and the drying quality appears to be good. 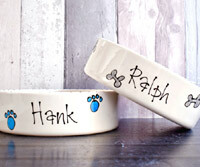 Great idea, far simpler than having a big towel to clean paws with. Not too plush either so will dry and wash well. Also fits in pocket so ready to use before even opening the door. Name embroidery looks great, pink on brown looks lovely. Highly recommend.